Baroness Dean of Thornton-le-Fylde’s appointment extended as Chairman of the Covent Garden Market Authority. Farming Minister Jim Paice has announced the extension of Baroness Dean of Thornton-le-Fylde’s appointment as Chairman of the Covent Garden Market Authority. The extension is for a further 18 months from 1 April 2011 until 30 September 2012. The post is part time and attracts remuneration of £50,480 per annum, this is paid for by the Authority, for a commitment of 3 days per week. Baroness Dean was originally appointed to the Board on 21 September 2004, appointed Chair in April 2005 and subsequently reappointed until 31 March 2011. The extension has been made in accordance with guidance issued by the Office for the Commissioner of Public Appointments (OCPA). The extension was made on merit and political activity plays no part in the selection process. However, in accordance with the original Nolan recommendations, there is a requirement for appointees’ political activity to be made public. Baroness Dean is a back bench Labour Life Peer in the House of Lords and campaigns for the party at national and regional levels. Covent Garden Market Authority is the statutory corporation with responsibility for running New Covent Garden Market, the wholesale market at Nine Elms in Vauxhall, south west London. 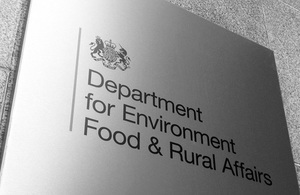 It is accountable to the Secretary of State for Environment, Food and Rural Affairs. The CGMA Board consists of the Chairman and up to 7 members all of whom are ministerial appointments. Brenda Dean was created a Life Peer in 1993, made a member of the Privy Council in 1998 and her current appointments include: Member of the House of Lords Economic Committee of the Honours Committee and the House of Lords Appointments Commission, Chairman of Covent Garden Market Authority, a non-Executive Director of Dawson Holding PLC, National Air Traffic Services and Taylor Wimpey PLC.